A Russian colonel has died in Syria after shelling in Aleppo ‘by the so-called opposition forces,’ the Russian Ministry of Defense has stated. The deceased serviceman, identified as Colonel Ruslan Galitsky, was working with a group of Russian military counselors, the ministry added. “Colonel Ruslan Galitsky has died in the hospital from severe wounds. Russian military doctors had been fighting for his life for a few days. 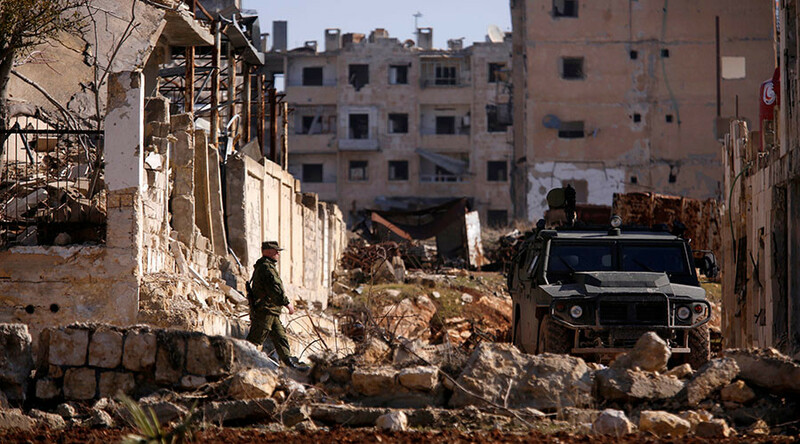 The serviceman was wounded during shelling of a residential neighborhood in western Aleppo by militants of the so-called opposition,” the ministry’s statement said as cited by RIA Novosti. Galitsky had been assisting a Syrian Army unit with military training, the ministry also said. Russian news outlets are circulating the purported photo of Ruslan Galitsy, but the authenticity of the image is not yet confirmed. The adviser would be posthumously given a top military award, according to TASS news agency. Galitsky was the commander of the 5th Guards Tank Brigade, deployed in the Russian city of Ulan Ude, eastern Siberia, according to Rosbalt news agency. Before that, the colonel reportedly served in the Moscow Military District. It comes a couple of days after rebel militants shelled a Russian field hospital in Aleppo, killing two paramedics, Nadezhda Durachenko and Galina Mikhaylova, and severely wounding the chief pediatrician, Vadym Arsentyev. Since the start of the Russian military operation in Syria, 22 Russian military personnel have died, according to official data summed up by RBC media outlet after the hospital shelling. In February, another Russian military adviser was killed in Syria, when Islamic State (IS, formerly ISIS/ISIL) shelled a military garrison. The precise location and the serviceman’s name were not disclosed, but he was nominated for a state decoration as well.